GOING TO AN ANARCHIST BOOKFAIR, DEMO, MEETING, OR OTHER EVENT? TAKE FIFTH ESTATE WITH YOU! State terror and popular resistance go way back…So does Fifth Estate coverage. 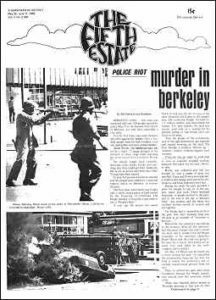 Read “Murder in Berkeley: Police Riot” in FE #80, May 29-June 11, 1969. Yes, We Have no Mañanas: Doomsday tech, 1980 version. Read about loose nukes and exploding rockets in Issue 303, October 20, 1980, in the Fifth Estate archive. 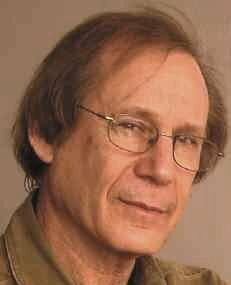 Learn more about the failed US war and resistance to it from an anarchist/anti-authoritarian perspective HERE. Learn more about the Spanish Revolution of 1936 and the important role of the anarchists….